Thomas Stumpf began composing at a very young age. There were occasional performances of his works: at age 16, the Junior Girls Choir he conducted at his high school, King George V School in Hong Kong, performed a choral work of his, and in 1969 two of his colleagues at the Mozarteum in Salzburg performed his Haikus for violin and piano at a concert in Liechtenstein. However he remained a closet composer until 1979, when he studied briefly with William Thomas McKinley at the New England Conservatory of Music and performed his Soliloquy I for piano at his first Artist Diploma recital in Jordan Hall. He continued to perform his solo piano works at concerts in the Boston area as well as in Germany. In 1986 his monodrama “Vladimir sings while waiting” was premiered at the UMassLowell New Music Festival with tenor Allen Combs. In 1989 soprano Jean Danton premiered his song-cycle “Little Girl Found” in two performances in Lowell, MA; in subsequent years this cycle was performed by Joan Heller at UMassLowell and by Emily Martin at the Isabella Stewart Gardner Museum in Boston. Stumpf's professional collaboration and personal friendship with the extraordinary soprano and modern music specialist Joan Heller is largely responsible for the rise of his career as a composer. In 1990 she premiered "Lear's Daughter's" - the first section of Stumpf's musical theater project "Dark Lady" - at Boston University. In subsequent years she performed it in Moscow and St. Petersburg (where it became the primary focus of a masterclass at the Conservatory), at the University of Indianapolis, New York University, Duke University and the University of North Carolina Wilmington. 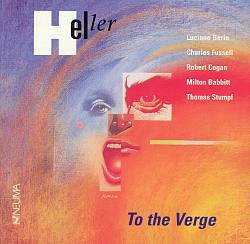 The work was recorded for the Neuma label in 1994 on a Heller-Stumpf CD entitled "To the Verge." Stumpf received the Kahn Award at Boston University for "Dark Lady," and further sections of this project were premiered by Heller at the Boston University Tanglewood Institute and UNC. UNC also saw the premiere of the monodrama "Mrs. Lincoln," which Heller subsequently programmed at several concerts in the Boston area. Other song cycles by Stumpf were performed in the 1990's by Stacy Cohen at the Gardner Museum, by Charlotte Sabiel at Boston University, and by Jacqueline Zander at the Boston Goethe Institute. In 1995 Stumpf became Director of Music at Follen Church (Unitarian-Universalist) in Lexington MA. From this time on he composed a large number of choral works, many of which were premiered by the Follen Choir at Sunday services. The largest-scale of these works was the Christmas cantata "In this night," premiered in December 2010 by the Follen Choir, its soloists (Epp Sonin, Julia Teitel, Scott Hilse and Benjamin Sears) and a chamber orchestra under the direction of the composer. An expanded and revised version of this cantata was premiered at Follen Church in December 2013. Stumpf also composed a number of anthems for his Follen Youth Choir. In 2000 the choral work "Do not close your wings" was commissioned and premiered by the Lexington Master Singers under the direction of Adam Grossman. In 2005 the choral work "Though I walk" was selected for performance by the Pharos Music Project at St. Bartholomew's Church in New York City. The conductor was James Bassi. In 2010 the Choral Composers and Conductors Collaborative C4 performed the same work at two concerts in NYC, conducted by David Harris; in 2012 C4 premiered "Painting on a square canvas 1: Prelude, Chorale, and Fugue" for unaccompanied SATB choir in two NYC concerts under the baton of Hannah Carr. In 2012 the Master Singers under Adam Grossman again commissioned Stumpf, this time to compose a choral work as part of the town of Lexington's 300th birthday celebrations. This work (a setting of Emerson's "Each and All") has also been performed in 2013 at the Manhattan School of Music conducted by Timothy Parsons on his graduate recital, and in 2015 by Triad: Boston's Choral Collective conducted by David Harris. In 2014 new choral works of his were premiered by C4 in NYC, conducted by Timothy Brown ("season of sorrow"); by the Lexington High School Women's Choir under Jason Iannuzzi; and by the Oberlin Women's Chorale under Jody Kershner at Oberlin College. 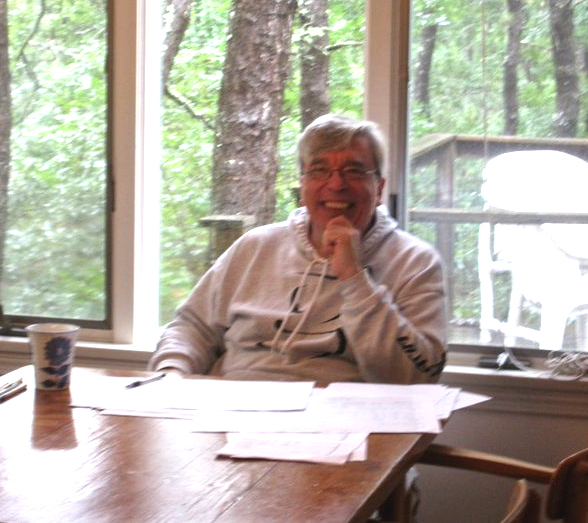 Stumpf continues to compose solo vocal works. In 2006 soprano Briana Rossi performed the song-cycle "From the unknown island of a heart" at Northwestern University and UMassLowell. In 2007 tenor Scott Hilse and a string quartet consisting of Julie Leven, Claudia Stumpf, Melissa Howe, and Andrew Mark premiered the song-cycle "I AM" at Follen Church. Hilse also sang Stumpf's setting of Byron's "She walks in beauty" at a recital during an international Byron conference in Boston. In 2009 Julia Teitel premiered his Rilke setting "Ich glaube an alles" for mezzo-soprano and 3 violas. In 2011 counter-tenor Timothy Parsons premiered the Rilke songs "Mond und Sterne" at the Manhattan School of Music. In 2012 soprano Pamela Murray premiered his "Five fragments from the diary of the Lady Izumi" at the New School of Music in Cambridge; Lucy Dhegrae sang this cycle at Tufts University in 2016. Stumpf also continues to compose for the piano. In 2010 he performed his "cover" of Bernstein's "Somewhere" (entitled "some day a time for us") at his 60th birthday piano recital. In the years 2010-2012 his work for piano four hands entitled "Seven minutes for four hands," originally composed for and performed by his Piano Ensemble class at UMassLowell, was played by Stumpf with Shaylor Lindsay at the Longy School of Music and with John McDonald at Tufts University. Since 2011 "dream-evolution" has been performed by Edith Auner in three different locations within Tufts University. Stumpf premiered "The Spirit and the Dust" on his piano recital at Tufts in October 2014. He has recorded this work as part of his 2-CD album "Reflections on Time and Mortality," released on the Albany label in 2017. A short operatic intermezzo, entitled "No onions nor garlic" and based on the "Pyramus and Thisby" sections of Shakespeare's "A Midsummer Night's Dream" was premiered by the Tufts Opera Ensemble in April 2014. In the 2015-16 season, members of the Tufts Opera Ensemble premiered another new work of his ("Eurydice" for three sopranos), as did Triad: Boston's Choral Collective and the honors choir of Newton North High School in Newton, MA. Edith Auner and Stumpf gave the first performance of a composition for 2 pianos. Cellist Emmanuel Feldman, bassist Pascale Delache-Feldman, John McDonald and Stumpf premiered a new work, "Other swans, other streams," in October 2016, and Triad premiered a new choral work in April 2017. The 2017-18 season included premieres of a song cycle on the recitals of tenor Thomas Gregg, of three piano pieces dedicated to and performed by John McDonald, of a new work for viola and piano composed for Scott Woolweaver, of a new work for saxophone and piano composed for Philipp Stäudlin, of a two-piano work performed by Edith Auner and Stumpf, and of a major choral cycle performed in April by the Tufts choirs conducted by Jamie Kirsch. The 2018-19 season will see the premieres of a work for wind quintet commissioned by Vento Chiaro, of a choral work commissioned by Adam Grossman and the Master Singers on the occasion of their 50th anniversary, and of two new works in the "Eyes of Sorrow" series with saxophonist Philipp Stäudlin and violist Scott Woolweaver. Harold Rosenbaum will conduct "seasons of sorrow" with the New York Virtuoso Singers in April 2019. In the not too distant future lie two exciting projects: a new orchestral work for John Page and the Tufts Symphony Orchestra, and two one-act operas based on stories by Oscar Wilde to be performed by the Tufts Opera Ensemble in the spring of 2020.